This still was taken from the Royal Shakespeare Company’s production of The Tempest, which partnered with Intel to use motion capture to stage Ariel’s magical transformations. Have you ever seen NAILED IT on Netflix? Sometimes that’s how I feel about the work that I’m doing in Digital Skriker. 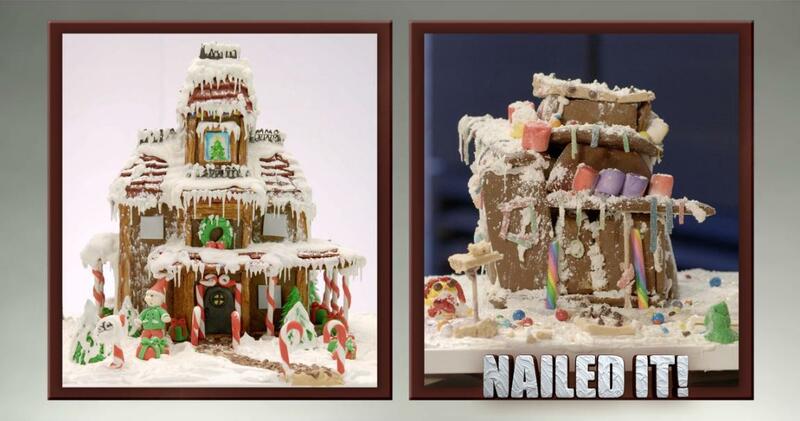 My aim in this comparison it not entirely to be self-deprecating; in fact, one of the things I love about NAILED IT is how it celebrates the contestants’ efforts and everyone seems to have a really great time baking together. And in terms of my DH project this year, I feel like whatever the end product will actually look like, it’s worth acknowledging the different kinds of labor and learning that went into it. I’m writing this post in part because I’m anxious about how the project will turn out. I’m very confident when writing about the intellectual content of Digital Skriker, but much less so when I’m writing about the nuts and bolts of doing that work—the parts where I’m watching a bunch of YouTube tutorials, attempting to organize my files coherently, and endlessly trying to figure out how to get the motion capture hardware to register that my feet are actually oriented toes pointing forward. Since September, I’ve been learning how to use Unity; testing out several different programs and hardware for capturing and then manipulating motion data; researching previous uses of motion capture in theater performance; learning how to blog using Github and how to write about my process (still working on this one! ); talking about my work with other potential collaborators; making artistic choices about the kinds of movement we captured; designing a stage setting in Unity; exploring how the resources (skills and money) that I have determine the kinds of assets I can use in Unity (which actually leads to artistic/aesthetic decisions that will affect how my work appears to an audience); and watching and re-watching a bunch of tutorials to figure out how to clean up my motion data and apply it to basic avatars. This is all doing DH. I wrote this post because I want to get better at sharing work that’s in progress, provisional, and messy. Sharing work at this stage – even if it’s just a screenshot – often feeds my imposter syndrome. I’m hoping that with time, presenting work in progress will inspire me to engage more with others about the directions my work may still take. Thanks for reading. P.S. My first several attempts to get these pictures to appear in the post didn’t work. Cite this post: Kelli Shermeyer. “Nailed It: A Progress Report”. Published March 26, 2019. https://scholarslab.lib.virginia.edu/blog/Nailed-It/. Accessed on .